Ah, the trepidation of receiving your results! Who can ever forget that? The culmination of years and years of hard work (for some), distilled down to a single piece of paper with several alphabets. Some people might walk out in jubilation, others might stumble out in tears and disbelief. While those years are thankfully behind me, it is strange indeed that I got to experience “results day” jitters yet again. How did that happen? The Life Insurance Association (LIA) conducted their Protection Gap Study for 2017, and invited us down for a press briefing to share the results from that study. Being the inquisitive (some say kaypoh) folk that we are, of course we couldn’t pass up the opportunity. Short Summary: It is an 88 page report prepared by Ernst and Young Pte Ltd that highlights the Protection Gap(s) in Singapore. Useful Summary: This study is the younger sibling of the Protection Gap Study conducted in 2012. While the previous study focused only on the Mortality (Death) Protection Gap, the 2017 version also included, for the very first time, an analysis of the Critical Illness Protection Gap as well. It is safe to assume that you do not have the time, nor inclination to delve deep into the full 88 pages here, which is why I have picked out only the most relevant (i.e interesting) parts to share. In coming up with the report, LIA could have inadvertently created the cure for insomnia. But I digress. How exactly did we fare as a nation? Not to be confused with morality (which not everyone possesses), every person that has at least one financial dependent, also has a Mortality Protection requirement. In the event of premature death, there needs to be a sum of money provided for the financial dependent(s) so that they can carry on with their lives. This is because over the same period, our mortality coverage needs also increased by 30%. Statistically speaking, a person walking along the street now (with at least one financial dependent) requires 23% more death cover than he or she currently has. Just seemed like a useful bit of trivia to me. Can’t imagine the number of policies being too useful in the grand scheme of things. 290k of cover may be sufficient for some, but woefully inadequate for others. So really, just interesting trivia. From the graph, it is evident that 2 age groups are further behind in death cover than others. 20 – 29 year olds: Perhaps this is the age where people start work and have not really grasped the full importance of insurance yet, hence the significant shortfall. 55 – 64 year olds: It is surprising to me that this age band has such a big shortfall, because most of us would still have financial liabilities at that age. One plausible explanation that I can think of is that some of them let their policies lapse, or didn’t buy a long enough cover term to begin with. 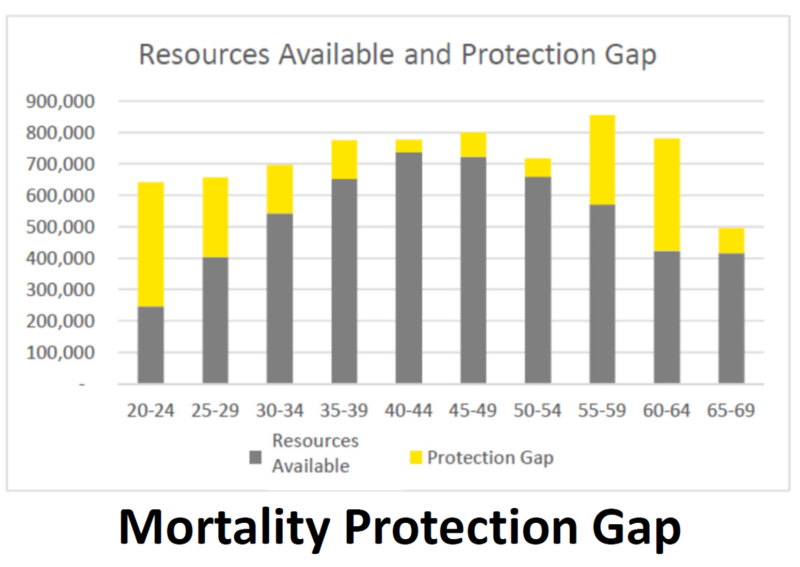 All in all, despite lack of relative progress in addressing the Mortality Protection Gap compared to 2012, I would say that a 23% shortfall is still … really not ideal. One could certainly make do with it, but it might create unnecessary financial hardship on the surviving dependents. The one coverage that we all need, is the one that we sorely lack. The average shortfall is a whopping 81% of what we require. Note: Unlike Mortality Cover, Critical Illness Cover was not offset by savings because of a sensible assumption that savings are required for retirement purposes, not for the purpose of income replacement when one has a critical illness. 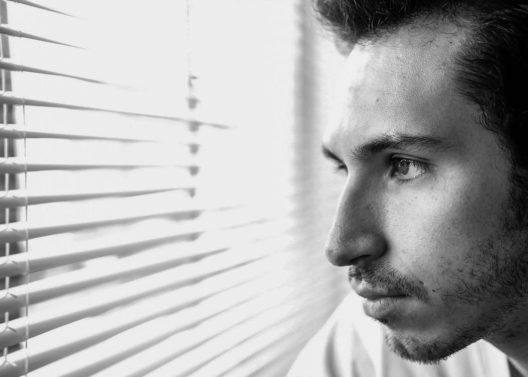 No one should have to burn through their nest egg while recovering from a serious illness. Also, the assumption used in the study is that each of us need about 3.9 years of annual income as critical illness cover. Again, just trivia. I find the number of CI policies a little hard to believe, and would have liked to see a concrete number. After all, 0.1 policies on average is very different from 0.9 policies on average, yet both are technically smaller than 1. Source: LIA. Also, the most disturbing type of equality there is. 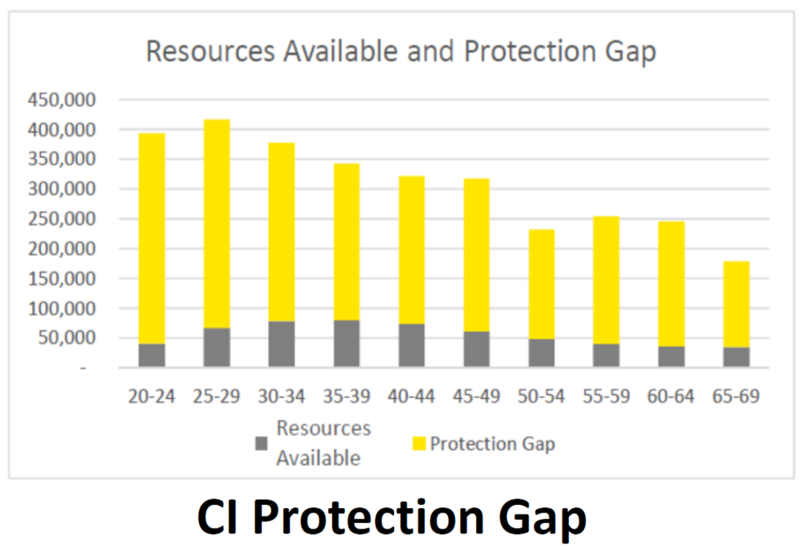 This time, it is clear that age is no determinant to lack of CI protection. As a nation, we are all equally lacking. Perhaps not the type of equality that we are looking for. So the very first time that Critical Illness Protection is measured, we have come up really short. 81% of shortfall is not to be sneezed at, and should really be our top priority in the years to come. Armed with this information, what’s YOUR next best move? Or should you even care? It’s just some statistics right? It is OK to sit back and relax. That is, if you have been doing regular policy reviews, and are confident in your protection coverage, this report should not cause any undue alarm. But if you do not belong that category (you know who you are! ), it wouldn’t hurt to take concrete action. 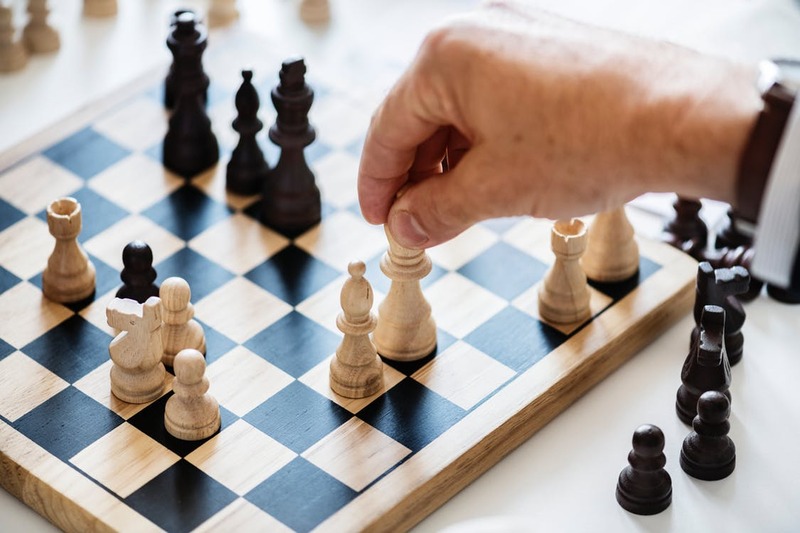 Call up your trusted advisor, research the various plans available, and start to take an active interest in making sure you are properly protected. Else you may end up just being a statistic as well, and we don’t mean the positive kind. We would like to thank the kind folks at Ogilvy and LIA for their invitation, and for giving us the best seat at the table. That was really Q-ute. Till next time guys!